Certain viral infections cause long term tiredness. What are they and which are the most effective treatments for them? Viral infections often cause tiredness and lethargy. They may well be a contributing factor to the development of chronic fatigue syndrome (CFS). They typically attack those whose immune system has already been compromised. Many of the viruses that cause problems lie dormant in the body until the immune system allows them to become re-activated. An example of a viral infection is infective mononucleosis. It is particularly common in adolescents and young adults. The fatigue it causes is usually only short term. If it lasts for many months or years, then it is referred to as post-viral syndrome (PVFS), which is implicated in CFS as well. Another viral infection, which used to be thought was the cause of CFS, is Epstein-Barr virus, or EBV. It’s now thought that EBV doesn’t directly cause CFS, but occurs opportunistically as a result of a compromised immune system. HHV-6 (human herpes virus type 6). In order to make a diagnosis of an infection, a CBC with a differential blood count is usually performed. The ratio of neutrophils, lymphocytes and monocytes gives an indication of whether the body is fighting an infection. Viruses are detected by testing for the antibodies specific to each disease. However, this may not reveal the whole picture as most of us have developed antibodies already because of past exposure. So the tests cannot precisely tell whether the infection is present or past. Building up the immune system by avoiding antibiotics (except when strictly necessary) and taking a good pro-biotic is important with all viral infections. Reducing stress, improving nutrition and getting enough high quality sleep will support your recovery. Here are some of more specific treatments. PVFS (post viral fatigue syndrome) responds well to gamma-linolenic acid in the form of evening primrose oil combined with 20% fish oil. EBV (Epstein-Barr virus) can be treated with Kutapressin, which is a polypeptide derived from pig’s liver. It is quite an old, but nevertheless, effective medication. It does need to be taken for a long time (typically 90 -120 days), but it will make you feel better (if you are going to respond it) fairly soon. A disadvantage of Kutapressin is that it needs to be injected on a daily basis. HSV (herpes simplex virus) can be treated with the antiviral Zovirax. This is also quite useful in the treatment of EBV. Other anti-virals include Valacyclovir and Famicyclovir. HHV-6 (human herpes virus type 6) can be treated with Valcyte. It is resistant to Zovirax, Valacyclovir and Famicyclovir,so this is an important and fairly recent drug. L-lysine is an amino acid which is effective against herpes generally. It doesn’t kill the virus, but affects its ability to reproduce. Thymic Protein A, marketed under the name Pro-Boost, is a very good natural immune stimulant and is effective against CMV (cytomegalovirus) and HHV-6. Please, seeConditions that cause fatiguefor more details on different disease that may lead to tiredness. If you suffer from exhaustion that lacks any discernible medical cause, your search for answers may be at an end. 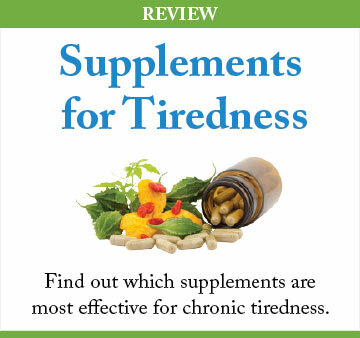 There’s a good chance you are one of the millions of people suffering from chronic fatigue syndrome. If you’re at a loss to explain your fatigue, maybe it’s time to look at what you eat. It could just be that you have Celiac disease or some other sensitivity to a little protein known as gluten. There are a number of sleep disorders which undermine the quality and quantity of your sleep. It’s important to distinguish between them and seek treatment because you need to get good sleep if you are recovering from fatigue.